BERLIN - The towns of Berlin and Southington are participating in a public awareness campaign to combat texting and driving. The “U Drive. U Text. U Pay.” campaign runs from April 11 to April 15. The campaign is a high-visibility effort to enforce distracted driving laws. It is in partnership with the state Department of Transportation during the National Highway Traffic Safety Administration’s National Distracted Driving Awareness month, which is April. “Drivers are continuously ignoring their responsibilities behind the wheel, and distracted driving is a growing and deadly threat on our roadways,” a release by the Berlin police department said. According to the National Highway Traffic Safety Administration, 3,166 people were killed in motor vehicle crashes involving distracted drivers in 2017, a nine percent decrease from 2016, the Berlin release said. “Over the years, millennials have become some of the biggest texting-while-driving offenders, also using their cell phones to talk and to scroll through social media while behind the wheel,” a release by the Southington police department said. Young drivers ages 16 to 24 years old have been observed using handheld electronic devices at higher rates than older drivers since 2007, according to NHTSA, the Southington release said. In 2017, eight percent of people killed in teen driving crashes, those aged 15 to 19, died when teen drivers were distracted at the time of the crash. 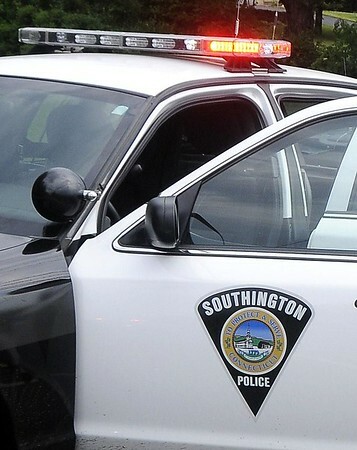 Female drivers are most at-risk for being involved in a fatal crash involving a distracted driver, the Southington release said. The fines for violating Connecticut’s distracted-driving laws are $150 for a first offense, $300 for a second offense and $500 for a third or subsequent offense, according to both departments. All fines are doubled in a construction zone. Charles Paullin can be reached at 860-801-5074 or . If you are expecting a text message or need to send one, pull over and park your car in a safe location. Once you are safely off the road and parked, it is safe to text. Designate your passenger as your “designated texter.” Allow them access to your phone to respond to calls or messages. Do not engage in social media scrolling or messaging while driving. Cell phone use can be habit-forming. Struggling to not text and drive? Put the cell phone out of reach in the trunk, glove box, or back seat of the vehicle until you arrive at your destination. When you get behind the wheel, be an example to your family and friends by putting your phone away. Texting and driving isn’t trendy “normal” behavior-it’s a selfish, deadly and, oftentimes, illegal activity that could kill you, a loved one, a friend, or a stranger. In 47 States, the District of Columbia, Puerto Rico, Guam, and the U.S. Virgin Islands, texting while driving is an illegal, ticketable offense. You could end up paying a hefty fine, and could get points on your license. If you see something, say something. If your friends text while driving, tell them to stop. Listen to your passengers: If they catch you texting while driving and tell you to put your phone away, put it down. Remember, when you get behind the wheel, put your phone away. U Drive. U Text. U Pay. Posted in New Britain Herald, Berlin, Southington Herald on Monday, 1 April 2019 20:20. Updated: Monday, 1 April 2019 20:22.